It’s no secret. My family loves smoothies and I love to make them for my family. They are packed with nutrition, easy to make, and delicious. I love that they are a quick and easy way to start the day and that they satisfy my family’s sweet tooth as well. They are really perfect for any time of day. One of the ways that I make smoothie prep nice and easy is to keep a variety of smoothie making supplies on hand at all times. When the kids start grumbling that they want something sweet or “tasty” as high school boy asks for, I want to make sure I have plenty of nutritious “tasty” to offer them. This post contains affiliate links. That means I am linking over to Amazon to show you the products that I use. If you purchase these products or anything from Amazon using my links, I will receive a small payment for referring you. I am required to disclose this, but I also want to let you know that your purchase is a great way to help keep this blog going. Now back to the smoothies…………. Milk or Juice – I usually keep coconut water on hand too. You need to have some liquid to create a more drinkable smoothie. Milk, orange juice, pineapple juice………whatever your favorite…. all work great in smoothies. Favorite Fresh Fruit Keep your favorite fresh fruit ready to go. If you chop them ahead of time, you will be even more prepared to make smoothies in a hurry. Strawberries, mango, watermelon…..There is no end to the combinations of fruit you can use. Favorite Frozen Fruit– I like to use frozen fruit in place of ice. I think it adds more flavor and still provides the icy texture that I love. I keep a bag of bananas in my freezer for this purpose. As the bananas get too ripe for my kids to eat, I peel them and put them in the freezer for smoothies. Honey/Maple Syrup – Although not always necessary (fruit is so sweet) I like to use honey or maple syrup as a sweetener for my smoothies. Plain Yogurt – Yogurt add additional creaminess and protein to your smoothies. If you really want to amp up the protein……..try Greek yogurt. Peanut or other Nut Butter – Peanut butter is another way to add protein to your smoothie. I’m also a little bit obsessed with the flavor and texture it adds to my smoothies. Yum! Shredded Coconut – I like to “chew” my smoothies a bit. I feel like I’ve eaten something when I activate those chewing sensors in my mouth. Coconut is a great add in for this purpose. 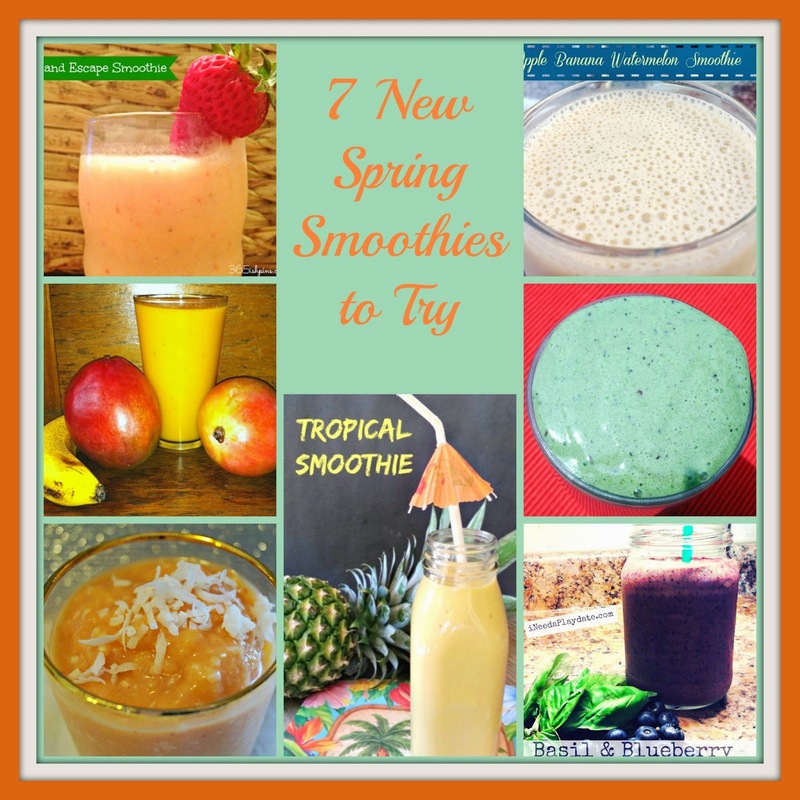 Not to mention, I love the tropical flavors you can create using it in smoothies. Dark Chocolate Chips – Dark chocolate has lots of wonderful health benefits and………it’s chocolate. What’s not to like? Although I like the bitter flavor of really dark chocolate, I find that it is much sweeter when combined with fruit in a smoothie. 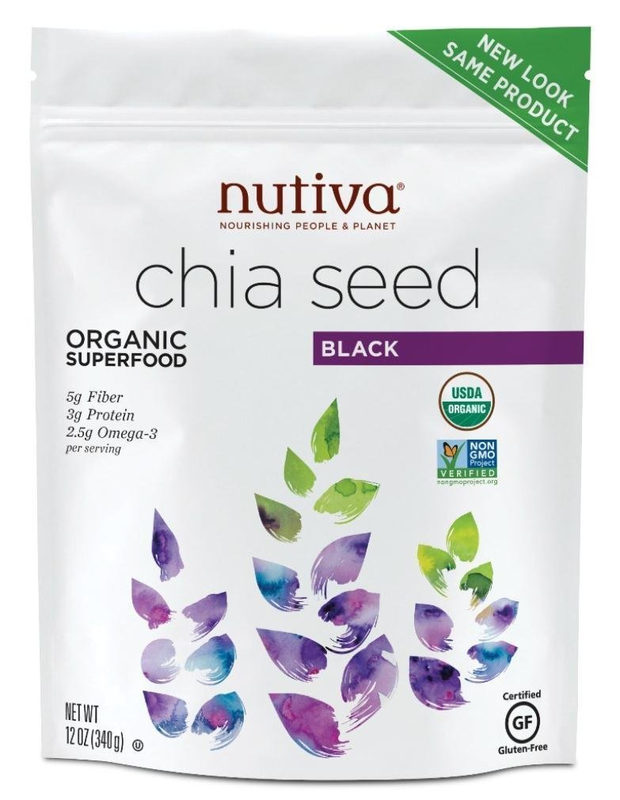 Chia Seeds – Chia seeds are a simple add-in for a smoothie that really amps up its hydration powers. I like to buy them from my local vendor, but I also buy chia seeds at Amazon. I love Prime! Flax Seeds – Although it is a tiny seed, flaxseed is packed with lots of micronutrients. There are some reports that flaxseed helps to prevent heart disease, cancer, stroke, and diabetes. Hmm……I think I can throw those in too. Straws – I like to keep colorful straws at the ready to make drinking our smoothies more fun. If I make them more of an “event” for my family they are less likely to seek out other “events.” What I mean when I say “events” are things like going to the ice cream store, coffee shops, donut shops for fun drinks. There is no reason why eating healthy food at home has to be boring. 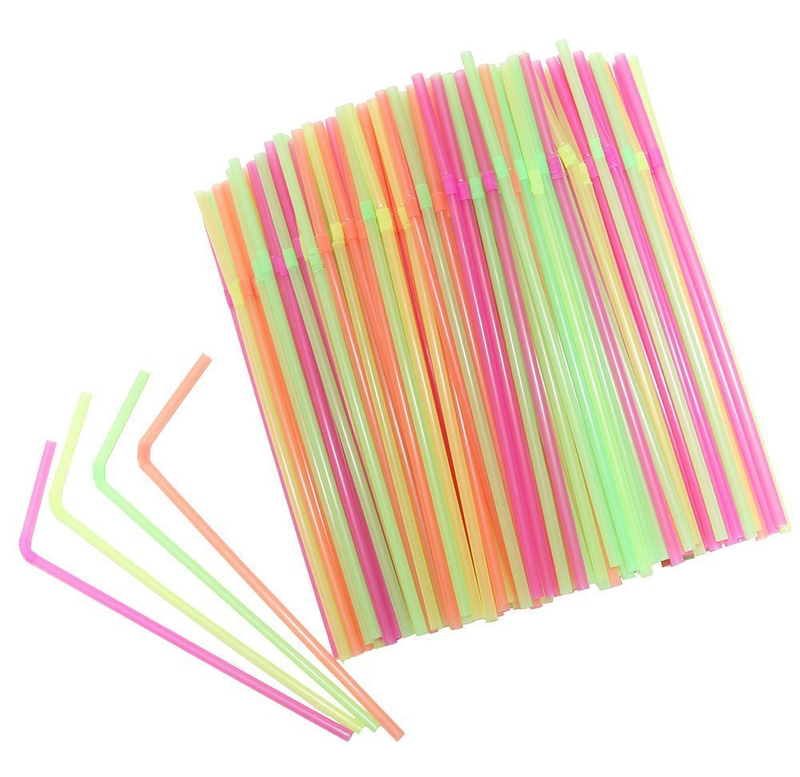 Check out these really fun neon flexible straws. Fun Cups or Travel Mugs – This goes along with the straws and keeping it all fun. Give your family a fun cup to drink the smoothies you have created and they will keep coming back for more. I also like to combat the “on the fly” situations by having travel mugs for everyone to grab and go. I can’t tell you how many times I think we have time to eat and that time changes to “we gotta go now!” My travel mugs allow me to be flexible and keep the real food smoothies available for my family. We also like to freeze smoothies in these silicone tubes for lunchbox smoothies. They are another way to grab a smoothie on the way out of the door. If you are looking for some smoothie recipes to get you started, take a look at these fantastic spring smoothie recipes. I also think playing around in the kitchen with a variety of ingredients is a fun way to spend some free time……..if you ever have any. Toss some ingredients together in your blender and see what your family loves. 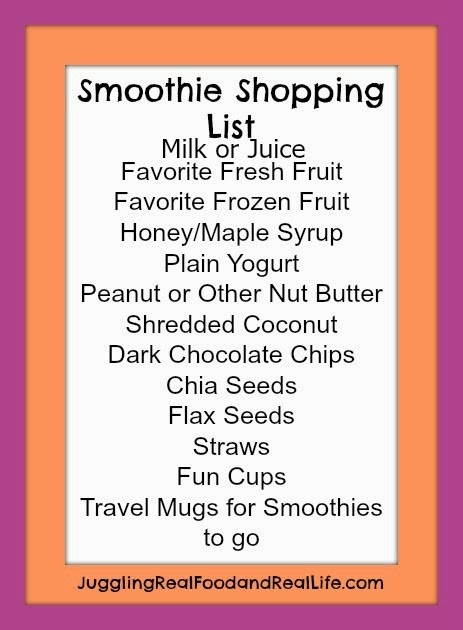 What is your favorite smoothie combination? How often do you make smoothies? Do you think you would make more smoothies if you always had the ingredients on hand? If you are looking for a new blender I love this combination food processor/blender. There is no need to have two machines which saves a lot of room in small kitchens like mine. Check it out here. 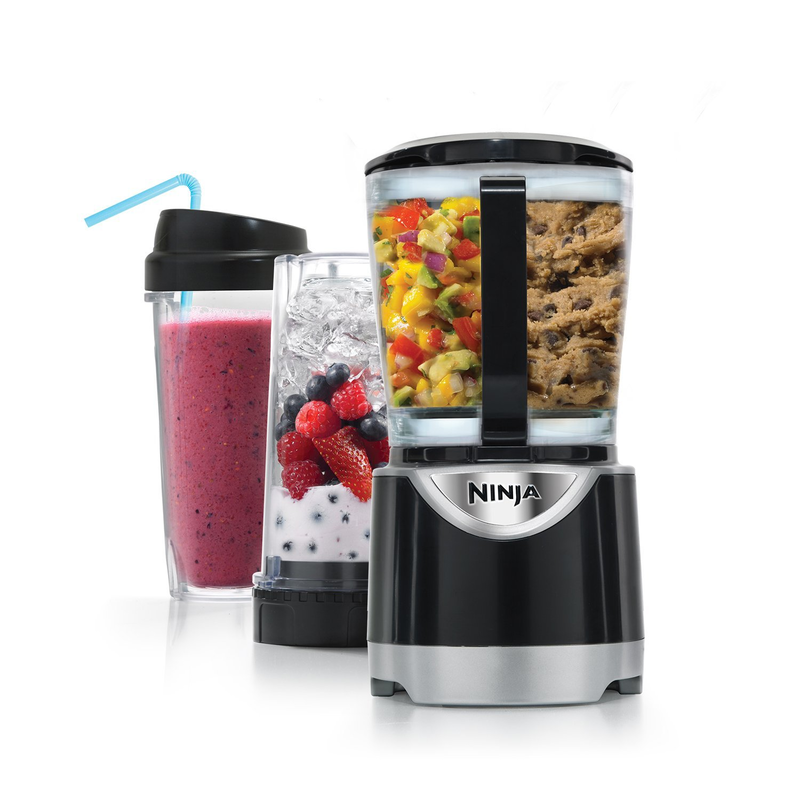 Do you have a favorite blender that you use for making smoothies?? If you are looking for help in making the transition to eating more real food, you should check out the Real Food Experience posts. You can get get started at the beginning or jump around the challenges. You can find a complete round-up of the program here. Each week’s challenge is full of terrific advice to help you transition from fast and processed food to a real food diet. Changes that will help you to live a healthy lifestyle and have the energy to keep up with your busy schedule. I would also love for you to join me on social media. You can find me on Facebook, Twitter, and Instagram on a regular basis. Leave me a comment and let me know you are there. I love to visit with my readers. Yes, I’m a real person.